The resurgent pan-Yoruba lawyers’ association, Egbe Amofin O’dua has been thrown into a crisis following its recent adoption of candidates for the forthcoming Nigerian Bar Association (NBA) National Officers Election. This is coming on the heels of its meeting in Ile-Ife, Oyo State at the weekend where the once invincible association held a meeting to adopt candidates for the election. CITY LAWYER gathered that while the adoption exercise for the other positions had seemingly gone without much rancour, attempts to forge a consensus among the three candidates for the post of General Secretary threw the entire meeting into confusion. Given the charged atmosphere, the meeting had set up a committee to liaise with the three leading candidates for the post of General Secretary to reach a consensus on the matter. 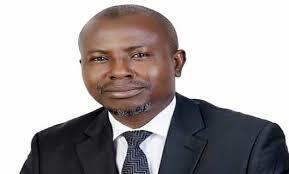 The candidates are Dr. Mobolaji Ojibara, Mr. Mas’ud Alabelewe and Chief Rafiu Balogun, the current NBA Legal Adviser. When the meeting reconvened on the matter, it was apparent that the candidates were unable to reach a consensus. According to a source at the meeting, while Ojibara allegedly told the meeting that he would abide by any decision it takes, Alabelewe was said to have stated that he would withdraw from the race if the two others can agree among themselves to present a single candidate. 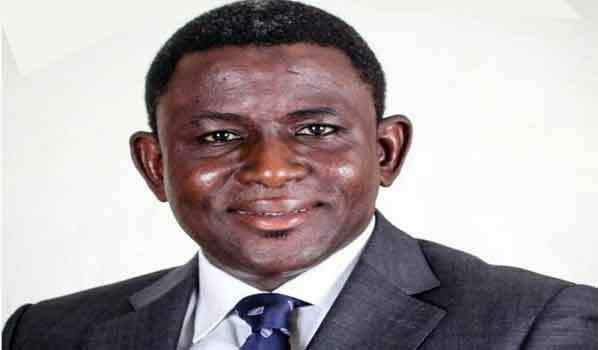 On his part, Balogun told the meeting that he needed to consult his supporters before taking a decision on the matter, and that given the limited time to do so, he would urge the meeting to bless the three candidates. Our source said that as former NBA Abeokuta Branch Chairman, Chief Adebayo Ayodele who chaired the meeting was about to bless the candidates, “some group of delegates from Ibadan” started heckling him to adopt Alabelewe as the sole candidate to “honour” him for agreeing to step down for the other candidates. This was countered by some other delegates who argued that there was no basis for that. Instead, they called for the leadership of the Egbe to allow members vote for the candidate of their choice. “It was at this stage that the chairman was hounded by some of the leaders at the high table meeting to adopt Alabelewe, notwithstanding the loud protests from members” the source said. Continuing, he said: “When the issue was raised, there was no consensus. It was then resolved that all the candidates should go and run. Suddenly, a delegate said the meeting should honour Alabelewe with adoption for agreeing to withdraw for the other candidates. This was strenuously opposed, with members calling on the meeting to bless all the candidates. Others called for voting on the matter as the most democratic way to break the deadlock. The chairman annulled this. “They could read between the lines to know that if it was put into a vote, we will carry the day due to the love and trust that people have for us. The chairman merely said, ‘I’m now going to rule. I will decide.’ That is not done! It is undemocratic. “The campaign rejects the purported adoption in its entirety. It is a joke carried too far. Can we consult our numerous supporters across the country within one hour? We are opposing it. On his part, Ojibara pointed accusing fingers at incumbent NBA General Secretary, Mr. Isiaka Olagunju as the source of his misfortune. The former NBA Ilorin Branch Chairman who essentially corroborated the report given by Balogun, said in a statement rejecting the adoption: “The decision (adoption) did not however come as a surprise. I have on several occasions informed well meaning members of the profession, particularly those close to my big brother, the current General Secretary, that he has continued to threaten me with disqualification if I do not step down for his friend who incidentally happens to be the adopted candidate. While the meeting side-stepped the adoption of any of the presidential candidates, it adopted the following candidates for the other national offices: Dr. Foluke Dada as 2nd Vice President, Yusuf Olatunji Ogunrinde as First Assistant Secretary, Olukunle Edun as Publicity Secretary, Victoria Banke Olagbegi-Oloba as Treasurer, Olayinka Oyeniyi Farounbi as Legal Adviser and Habeeb Lawal as Assistant Publicity Secretary. It remains to be seen how the crisis will affect the political fortunes of the once influential bloc. 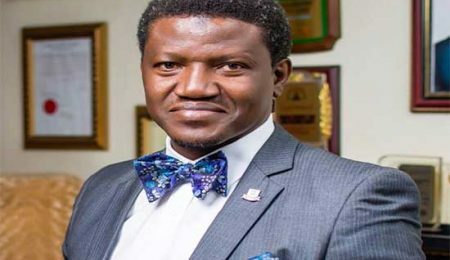 It is recalled that a similar crisis during the 2014 NBA Election substantially led to the emergence of Mr. Augustine Alegeh SAN as NBA president, as the forum again failed to agree on the three candidates from the core South West States, namely Mrs. Olufunke Adekoya SAN, Chief Niyi Akintola SAN and Deacon Dele Adesina SAN. How could ile-ife be in oyo state? I think your reporting is one sided and it will do your outfit much good if you get the other sides opinion before publishing. Alabelewe was adopted in that meeting and the 2014 incident referred to in your report was largely caused by the contribution of Ojibara who am sure will never come to campaign in Ibadan had Baba Aiku is alive.